Baccarat Luchadore presents sweet, creamy, and woody flavor and a smooth, mellow body in a traditional 6x43 Corona vitola. Length is great - draw was perfect. Very nice mild cigar with sweet tip and good mellow flavor all the way to the end. Good anytime of day or evening. excellent after dinner cigar to relax on the back porch. This Baccarat is one of my favorites. A little sweet at the beginning that turns into a great mild smoke. I really enjoy this cigar, however the barcode on every cigar is an annoyance in trying to unwrap the cigar. Starts slightly sweet, finishes mild. Good all the way to the band. Affordable. Great smoke sitting on the patio with a drink or enjoying a smoke while playing golf. Burns evenly and does not leave a bad after taste. Great company to deal with. 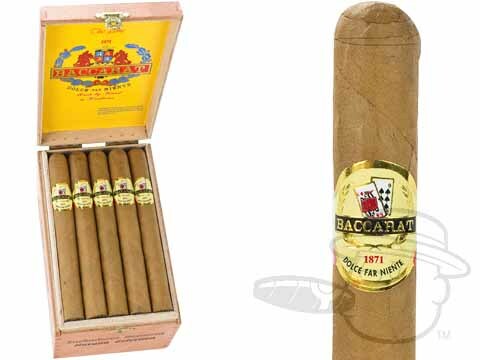 Love the Baccarat cigars and the price we pay. 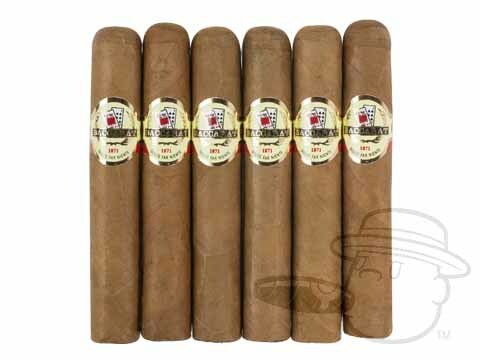 These cigars are a nice mild smoke that burn smooth and even. I am very happy with my choice. They are smooth and just the right size fora pleasant smoke. Baccarat Luchadores is rated 4.6 out of 5 based on 17 customer ratings.